“If there’s one thing I hate, it’s the movies. Don’t even mention them to me.” It’s more than fair to say that JD Salinger’s most famous protagonist Holden Caulfield was NOT an enthusiast when it came to the flicks. However, Salinger himself had a far more complicated relationship with the silver screen. For decades filmmakers, actors, and screenwriters have been inspired by his characters and stories without ever being able to adapt them directly. His refusal to sell the movie rights to his works has made Salinger arguably the most influential literary figure in the history of American cinema. This list examines 10 movies that undoubtedly owe a considerable debt to JD Salinger. Burr Steer’s Igby Goes Down is the story of a rebellious teen who gets kicked out of prep school for his academic performances, longs for meaningful relationships, and resents his privileged New York ‘old money’ upbringing. Sound familiar? For better or worse, Igby Goes Down unfolds nearly exactly like a 21st century version of The Catcher In The Rye. Holden and Igby are both rebelling against the hypocrisies present in their societies. Holden rejects all aspects of the materialism and the ‘phonies’ he’s surrounded by. Ibgy finds himself trapped within the idea of the American Dream, and refuses to conform. More than anything, Holden and Igby are both on existential journeys, in which they desire to find their place in a society they feel alienated by. Igby Goes Down is proof that Holden Caulfield has had the longest cinematic afterlife of any fictional anti-hero of the 20th century. Zach Braff’s 2004 directorial debut sees him play Andrew Largeman, a heavily medicated Caulfield-esque twenty-something who returns to his New Jersey home for the first time in a decade. Like Holden, Andrew is an anxiety ridden character on the verge of a complete mental breakdown. Both of the characters anxieties seem to stem from deaths in their immediate families. Andrew is grieving the death of his paraplegic mother, while Holden is still struggling with the death of his younger brother Allie. Sick of being permanently catatonic, Andrew decides to stop taking his medication. He’s insistent on feeling something, even if it hurts him. At its heart Garden State is a story about loneliness and finding love. It’s certainly more unapologetically sentimental than The Catcher In The Rye, and that’s perfectly fine with me. This one may seem like a bit of a stretch, but nearly all of the John Hughes coming of age pictures of the 1980’s can be compared and contrasted to great extent with Salinger’s published work. The Breakfast Club and Sixteen Candles both convey teenage alienation and isolation similar to The Catcher In The Rye, but Ferris Bueller’s unreliable and witty first person narration borrows VERY heavily from Holden Caulfield’s. However, where Holden is depressed, angry, and immature, Ferris is confident, optimistic, and by all accounts ‘a righteous dude’. The narrators find common ground in their intelligence, wit and sensitivity. Neither protagonist seems overly concerned with school, as the education systems in both stories are portrayed extremely negatively. Ferris Bueller’s Day Off and The Catcher In The Rye can both be viewed as studies on the negative effects of materialism. Both young men had privileged upbringings in eras of obscene materialism. Cameron’s, Ferris’, and Holden’s parents have all been alienated from their sons by focusing too much on material gain. Cameron’s father seems to care more about his cars than he does about his son. Ferris Bueller’s Day Off might be a fun and charming watch, but it also expertly embodies the rebellious, anti-authority nature of The Catcher In The Rye. It’s worth pointing out that the ‘rebellious teen’ did, in fact, exist in American culture before JD Salinger penned The Catcher In The Rye. Having said that, I don’t think James Deans iconic portrayal of Jim Stark would have made the cultural impact that it did without Holden Caulfield paving the way. Both works deal with the displacement of youth in America in the 20th century. Neither Jim nor Holden seem to fit in at their schools. Holden has academic problems, while Jim had a tendency to beat up classmates at his previous schools. Their everyday struggles also seem comparable. Both are struggling to come to terms with the transition from childhood innocence to adulthood, and feel alienated from their own families. Holden’s family push him away, sending him boarding school. On the other hand, Jim’s family are overly involved. They choose to move with him from town to town each time he gets in trouble. 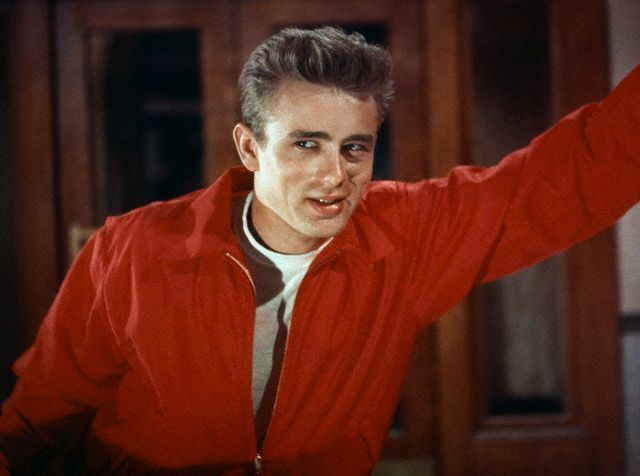 Rebel Without A Cause is without a doubt the definitive juvenile delinquent film. Each decade in film seemed to create its own Holden Caulfield. The 1950’s belonged to James Dean’s Jim Stark. More than any other film maker working today, Wes Anderson wears his Salinger influences on his sleeve. It can’t be denied that Max Fischer and Holden Caulfield share similarities that go beyond their mutual appreciation for red hats. Just like Holden, Max finds himself kicked out of his prep school for poor academic performances. The one subject that both characters seem to excel in is English. Max was accepted into Rushmore on a scholarship for writing a one act play about the Watergate scandal. Holden has a reputation among his teachers and peers for being able to write brilliant descriptive essays. Interestingly, the two students are also managers of their schools fencing teams. The two central characters also struggle socially. They seem to have no qualms with lying and manipulating people to get what they want. A short temper is also a shared personality trait. Holden attacks Stradlater at the thought of him taking advantage of Jane. Max is seen in altercation backstage at one of his plays. The pair also seem deeply affected by deaths in their families. Holden is mourning his younger brother Allie, while Max is often seen visiting his mother’s grave. 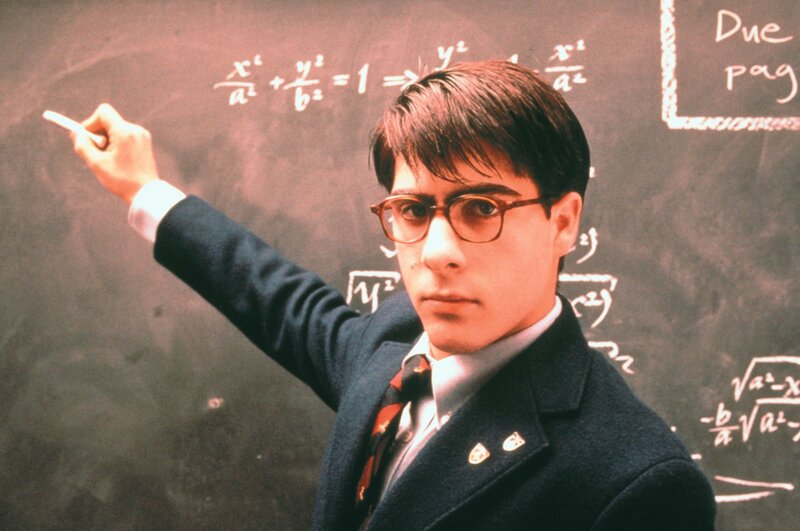 Everything about Rushmore works. It’s a great example Wes Anderson as a modern auteur, and definitely one of the best films of the 90’s.